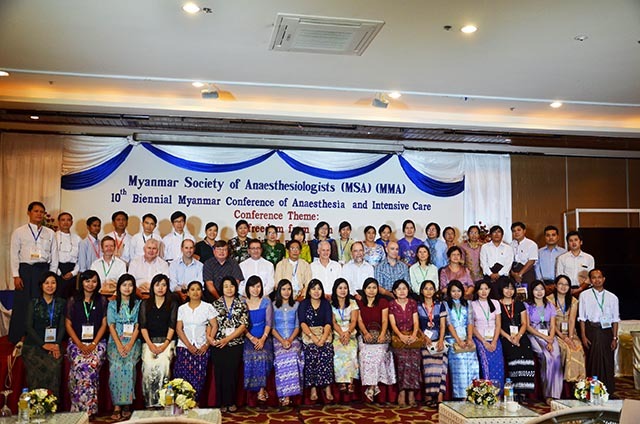 Another group of the Open Heart International Team attended the 10th Biennial Congress of Myanmar Society of Anesthesiologists. Some of our team were invited by Professor Tin Myint, to present lectures at this conference. Large group photo of those attending the 10th Biennial Congress, which includes Dr. Paul Wajon, Professor Roger Goucke, Dr. Matt Crawford, Dr. Robert Hislop, Dr. Nick Collins, and Open Heart International Coordinator, Chris Waite.